On the one hand, Pinterest is a lot of fun and can be a great way to promote your business. On the other hand, Pinterest changes constantly and it can be hard to keep up with current best practices. 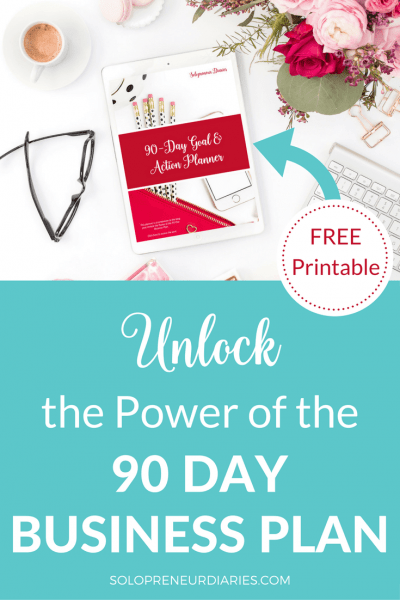 And if you’re new to Pinterest, you may not understand how or even why you would want to use this platform as a marketing tool for your business. What is the purpose of Pinterest? Is Pinterest a social media platform? How does Pinterest work for people? What kind of content can be found on Pinterest? What is a Pinterest profile? What does it mean to pin, save, or repin something on Pinterest? What’s the deal with followers and following on Pinterest? What happens when someone follows me on Pinterest? 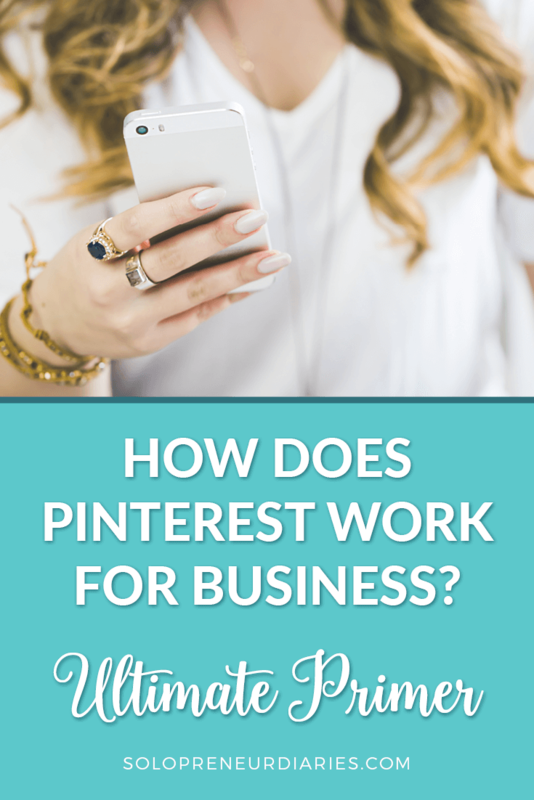 How do I get started using Pinterest for my business? And here’s the kicker. The half-life of a Pinterest pin is 3 ½ months. Months! That means that a pin gets half its engagement in first 3.5 months that it exists. Pins continue to work for a long time – garnering engagement on the platform and driving traffic to your website. That’s why Pinterest is such a great marketing tool for business. Pins continue to work for a long time – garnering engagement on the platform and driving traffic to your website. Well, it is and it isn’t. You’ll often hear people saying that “Pinterest isn’t social media; it’s a search engine.” But it isn’t a search engine in the same way that Google is. People generally find content on Pinterest by searching or when they see it in their home feed (aka Smart feed). However, content that people engage with is more likely to show up in search results. So social engagement, such as saving pins and commenting, matters. For the past couple of years, Pinterest itself had been moving away from the “social media” label. But now they are swinging back the other way. They’ve introduced the “Following” feed, where you can only see pins that have been saved by people you follow. And they are encouraging users to leave comments and add photos when they’ve tried the idea in a pin. Personally, I like to think of Pinterest as a visual search engine with a social component. I like to think of Pinterest as a visual search engine with a social component. People use Pinterest to find ideas and to save them. Those ideas might be products to buy, things to do, or simply inspiration. They save those ideas as pins and they save them on boards. If people are looking for ideas on Pinterest, then businesses are there to provide those ideas. If you use (or want to use) Pinterest to market your business, then you are a content creator and you provide content in the form of pins. Pinterest has the potential to connect your business with a new audience. 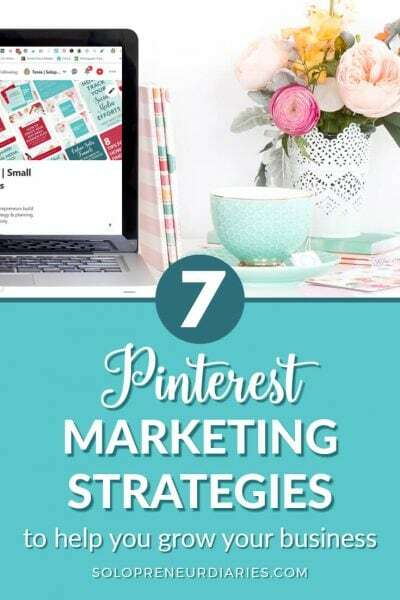 If you learn how to leverage the search aspect of Pinterest, then users will find your content when they are looking for ideas related to content you share. And each time one of your pins gets saved by a pinner, your potential audience grows. This is especially powerful for solopreneurs, who typically have small (or nonexistent) marketing budgets. Pinterest is a great source of free traffic to your website. In fact, Pinterest is the largest source of traffic to my website and the same is true for many solopreneurs. 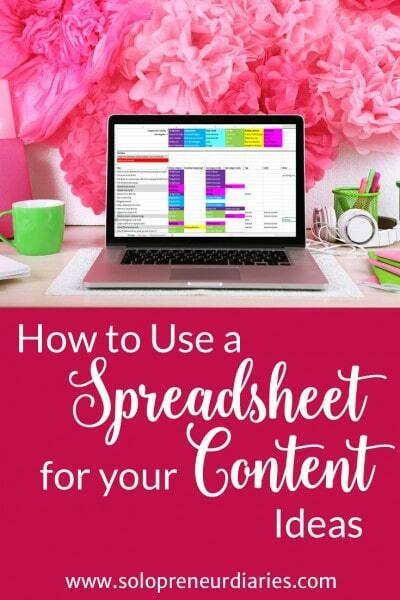 If you learn how to leverage the search aspect of Pinterest, then users will find your content when they are looking for ideas related to content you share. In order to use Pinterest effectively, you need to understand a few basics. A pin is an image that has been saved to Pinterest. Pinterest is a visual platform, so all content added must be in the form of a pin. Think of pins as visual bookmarks. Each pin is a visual representation of the idea, product, or information that it leads to (the link). Users see pins when they log in to Pinterest and they engage with the pins that interest them. They engage by clicking or tapping on a pin to enlarge it. At this point, they see the full image and description. If they click or tap again, then the linked web page (often a blog post or product page) opens up. They can also save the pin to a board. A Pinterest board is a curated collection of pins. Each pinner will have one or more boards attached to her profile. The only way to save a pin is to add it to a board. Regular boards – and the pins on them – are public and can be seen by anyone. Secret boards, on the other hand, are hidden from public view. Another type of board is a group, or collaborative, board. The board owner can invite other people to add pins to a board. Maybe you and a group of friends are planning a bridal shower; everyone could save their ideas to a group board. Group boards can be public or secret. For a complete list of Pinterest categories, go here. Each of these broad categories includes lots of more specific topics. For example, in “DIY and crafts,” you can find content related to DIY decorating, craft storage, sewing, fall wreaths, wood projects, and so on. Some types of content, like recipes and crafts, are wildly popular on Pinterest. Others have a smaller following. But it’s a safe bet that whatever type of business you are in has a presence on Pinterest. Your profile is also the hub for all your boards and pins. Business account profiles display your content through several different views. Profile cover – a collage of your pins. Featured boards – a sliding showcase of one to five boards of your choosing. Overview – a snapshot of recent activity on your account. This includes the latest pins you’ve saved, recently active boards, and your pins that have been saved by others. Boards – all your public boards, including both group and personal boards. Pins – a chronological feed of the pins you’ve saved. Tries – If you mark a pin as “tried” with a note or photo, it will show up in this tab. Activity – a chronological feed of your pins that have been saved by other users (this tab can be removed from your profile if you choose). Followers – all the Pinterest users who follow you. Your number of followers also appears on this tab. Following – the Pinterest users that you follow. You can also view any boards and topics that you follow. Include keywords in your business name. This helps Pinterest understand what your account is about. For example, my business name is “Tonia @ Solopreneur Diaries | Small Business Tips + Social Media Marketing + Productivity Tips.” So, I have my first name, the name of my website, and three keywords that sum up my account. Note: Pinterest recently changed the parameters for the business name field, limiting it to 30 characters. However, it may still be possible to use more characters if you edit that field using a mobile device. Your profile description (aka About You) is another opportunity to include relevant keywords. Choose different keywords than you used in your business name to increase your exposure. Profile cover – You can select to display Latest pins, Recent activity, or pins from a specific board. I recommend displaying a board that only includes pins you have created. For example, I use my “Best of Solopreneur Diaries” board, which includes one copy of each pin that is linked to my website. This makes for a visually pleasing cover because all the colors and fonts work together and it helps strengthen your branding. When you add new content to Pinterest, that’s a pin. You can add pins from your own website, other websites, or even directly from your computer or mobile device. Following something is a signal to Pinterest that the user is interested in that content. So if you follow a user, then you are telling Pinterest that you are interested in that person’s pins AND the types of content that they normally share. If you follow an individual board, that’s a signal to Pinterest that you want to see the content saved to that board AND similar content. And the same for topics. Pinterest takes these signals and uses them to show you pins in your home feed. So, if I follow Social Media Examiner (a Pinterest user), then Pinterest is going to show me some of their pins in my home feed. It will also show me other related content (likely more pins about social media since that’s the type of content that SME saves). If I follow a board called Content Marketing, then Pinterest will show me pins from that board. And it will show me other pins related to content marketing. When someone follows you on Pinterest, then your content will start to appear in their home feed. If they engage with your pins, then they will likely see more of them. Keep in mind that users can follow your whole profile or they can follow select boards. You can see who follows you and how many followers you have on your profile page. Followers haven’t been all that important on Pinterest the last few years, but they seem to be making a comeback. Pinterest recently introduced the “Following tab,” which is a feed of pins saved by the users that you follow. Your followers can also help your new pins gain traction. When you add a new pin to Pinterest, it is first shown to your followers. If they engage with it, then it will be shown to more people. So it’s much more important to have an engaged group of followers who are truly interested in your content than to have a high follower count. First, you want to make sure that you have a Pinterest business account. A business account gives you the more robust profile discussed above. It also gives you access to analytics that will help you evaluate your Pinterest account’s performance. And, if you want to advertise on Pinterest, then a business account is a prerequisite. If you already have a personal account, then you can simply convert it into a business account. It’s a super-easy change. With all this talk about Pinterest for business, you may be wondering “is Pinterest free to use?” Absolutely. There is no cost for a business or personal account. 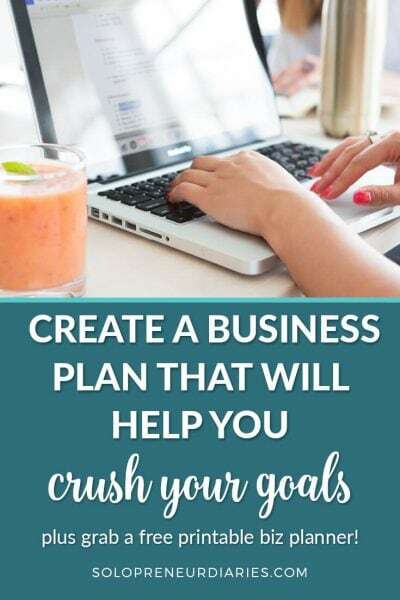 While there are entire courses devoted to using Pinterest for business, here are a few high-level tips you will want to include in your Pinterest strategy. It’s a good rule of thumb to have five boards to which you can add each of your pins. You can easily do this with a mix of broad and niche boards. For example, let’s say you have a post called “5 quick and easy muffin recipes for busy mornings.” You could have boards about Breakfast, Muffins, Quick and Easy Recipes, Bread Recipes, Kid-friendly Breakfast Recipes, etc. Keywords are super-important on Pinterest. Keywords tell Pinterest what your pin is about. And keywords help your pins surface in search results. Learn how to research Pinterest keywords and then use them in your board titles and your profile. 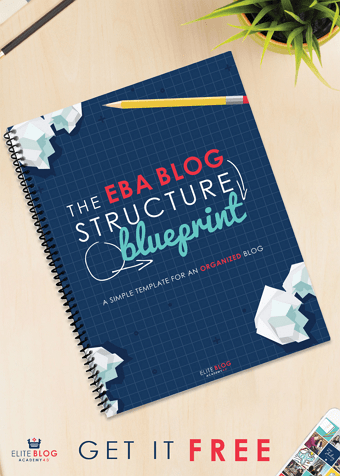 Most importantly, you’ll want to write keyword-rich descriptions for each of your pins. Pinterest is a visual platform. It’s important to create pin-worthy images that grab attention and make people want to click. 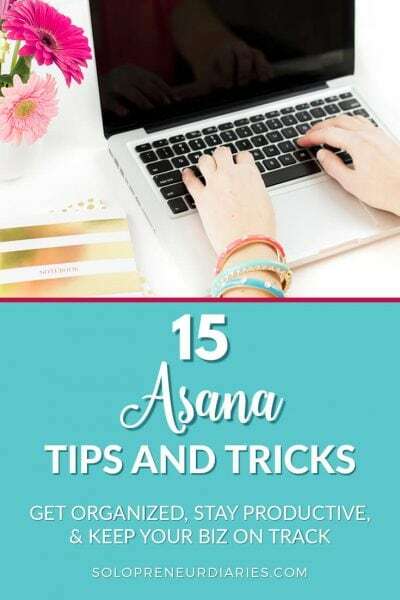 Canva is an easy-to-use, free tool for making Pinterest graphics. Create vertical (portrait) graphics in a 2:3 ratio. Examples of a 2:3 ratio are 600 x 900 px and 735 x 1102 px. Include a text overlay with an enticing title that makes people want to click through to your website. Keep in mind that most Pinterest users are viewing your pins on a mobile device. Make sure that your pins look good and are readable on a small screen (check them on your phone to be sure). Make sure that your pins look good and are readable on a small screen. Pinterest scheduling – Tailwind is the scheduler that I use and recommend. You can sign up for a free trial here. Pinterest course – If you are looking for a comprehensive course that is geared toward using Pinterest for business, this is the one I recommend. Pinterest can be a powerful marketing tool for your business. And keep in mind that while Pinterest offers long-term results, it’s also a long game. Don’t wait until you think you know everything or have the perfect strategy in place. Get in there now and start pinning! 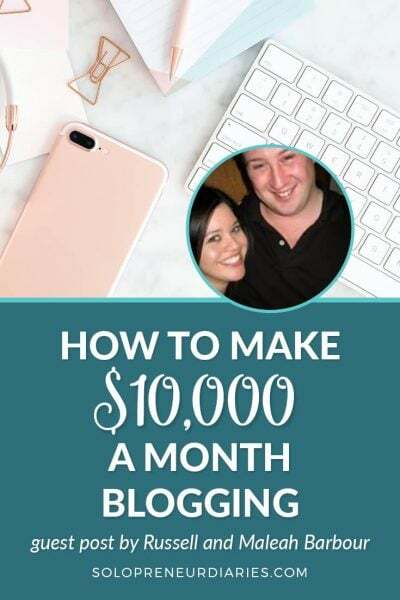 « What Is the Genius Blogger’s Toolkit?